With all of the changes and chaos in my life now, time is one thing that's hard to come by. As a single mom with school-aged children, I need fast, healthy choices when it comes to lunch for my kids and Lunchables has always come to my rescue! In fact, it will be the lunch of choice when I chaperone my daughter's field trip into DC on Monday. Lunchables has come out with two new varieties of Lunch Combinations and an addition to one classic that my kids were able to try out: Chicken + American Sub Sandwich, Chicken Strips with DOLE Mandarin Oranges, and Deep Dish Pizza NOW with DOLE Mandarin Oranges. My kids were thrilled to see mandarin oranges added into the Lunchables Combinations since that's their favorite fruit. And they loved each Lunchables Combination, both of them fighting over who got what combo (if they had their way, each one would've gotten to eat all three!). ~The Chicken Strips Lunchable is made with 100% white meat chicken and a the mandarin oranges provide a full serving of fruit. ~The Chicken + American Sub Sandwich Lunchable is made from rotisserie seasoned chicken breast and includes spring water and a bun made with 8 grams of whole grain per serving. ~The Deep Dish Cheese Pizza Lunchable has a crust made with 8 grams of whole grain, reduced-fat cheese and a full serving of fruit. The new varieties feature clear, outside packaging so moms can see what they're giving their kids and is largely recyclable, including the sleeves, bottom trays and water bottles. 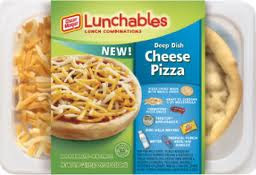 Want to try out these and other Lunchables for your family? I have six coupons for one free package of any Lunchables combination each (for a total of six combos)to give to one lucky winner! To enter, simply leave a comment on this post letting me know what you love about Lunchables or why you would like to try them out. By entering, you automatically agree to all the rules and disclaimers listed here. Please also see my disclosure policy here. ~Twitter with a link to this post. Then leave a separate comment here with your Twitter link. Feel free to use the Twitter share button at the bottom of this site. Deadline to enter is 11:59 EST, Friday, November 12, 2010. Winner will be selected at random using Random.org. Good luck! Disclosure: I received complimentary Lunchables Combinations as well as coupons to facilitate this review. My son loves the bologna lunchables. I love how convenient they are. My kids love Lunchables and what's better than free! never tried but with 3 kids to make snack/lunch for thinking it could save me some time! I love Lunchables because they are easy for me and the kids love 'em! My kids love lunchables and they make lunch easy to get ready. 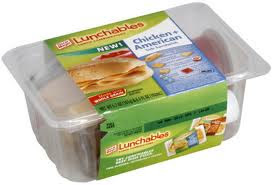 I have never tried Lunchables but I would like to because they look like something easy to grab when you don't have the time or energy to deal with cooking. I love that they are so portable! My girl loves to take the ham and american cheese lunchable to school in her lunchbag. She likes that it is easy to eat with no utensils and she loves that she can make her own "stacks" of sandwiches to nibble down. I like that she eats all of it! I like Lunchables because they're so convenient. I like lunchables because of the convenience and that my kids can get them themselves. 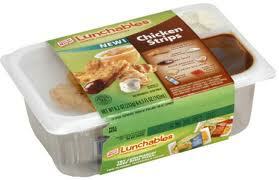 I like Lunchables for a special treat for my kids because they are healthy and they really enjoy them. I remember when I was a kid how special a lunch like this was to me. Plues they look delicious. It has been a long time since we have had Lunchables. My oldest son used to love them. I would like to win to let my younger son try some of the newer ones. I love how convenient they are - and the combos even include the drink! Thank you for the giveaway. Lunchables are hassle free as they don't need any preparation on my part. My grandkids love to eat lunch with me when I have lunchables. Quick,easy and they love to eat them. I love how convenient they are. I can pack them in the kids lunch & know that they will love it and have a full lunch! I like them because they are a convenient snack/light meal for the kids and probably better for them than fast food. They are especially handy between sports/other activities when there is not enough time for a sit down meal. I love that they are super easy to bring with us on the run. I've always loved lunchables, you have an entire meal in a small box and you control how you eat it. I don't know I've always loved packages that have everything in it. i love that on nights we have to hurry to get to sporting events we can just grab these to eat on the run. I love lunchables because they make life start of the work day stress free. My husband takes his lunch to work every day. These look so delicious and convenient. I would love to try them. My son has been begging to try these and I'm afraid he won't like them...so this would be a good opportunity to try them! My girls love to take these to school and I like giving them to them. They're easy to pack and a lot better than other lunches out there for them. Thank you! I think these are a great idea and so much easier and more convenient than packing a lunch. I love that they are easy to eat on the go. We are always running somewhere and these are a great alternative to the drive thru. I love Lunchables! That's what I bring to work every other day.. saving money by not driving home for lunch every day! These seem like the perfect solution when i don't have time to make a lunch. I like Lunchables because they are a good, light lunch that I can just grab from the fridge and run for work. Love how they're perfectly portioned and provide a well rounded meal! I love that Lunchables are so quick , easy and perfect for on the go. My daughter loves the pizza ones. my kids love the pepperoni pizza lunchables adn I love that they are an easy lunch to send that is less than the school lunches. I fave you on technorati as degood. There are no complaints when the little ones have these for lunch! I like Lunchables because they are convenient and the perfect size. My son loves them because he gets to make his own lunch! I love that they are convenient, balanced meals. Dev and her friends all love the lunchables- it's a good day when that is what is packed. They are perfect for road trips. I keep one or two in the fridge most of the time. My kids love them and they are very convenient . I like how time saving they are, compared to actually making the lunches. I love lunchables because they make packing my kids lunch a breeze. I love that it's a complete little meal, just open and eat-CONVENIENT! Lunchables are definitely a "cool" lunch for kids, and they are easy for parents. I had no idea there were so many varities now! I like that they are easy to pack for lunch and they are good and my son likes them! I love how quick and easy lunchables are. These new varieties look healthier and fabulous! Would love to try them out, thanks! We've never tried lunchables, but they look great for a meal on the go! I like easy and I like time-savers! I Favorited you on Technorati - js2222 . I haven't tried Lunchables, but they look good - a lot fresher than TV dinners. Would love these for work! It's not so much me but my kids that want them. They are always begging me while we are in the store for me to buy them. But free I can definitely do! They seem like a healthy food item. I love a lot about lunchables! I think they are a delicious and convenient snack/meal for my kids and they love them! I also love that they have new healthy options but I wish they would put that tiny napkin back in, just sayin! I love how convenient they are. And, if they are healthier now, then that's even better. I like the convenience and they are just the right size for a light lunch. Faved on Technorati. This message - Thank you for using Technorati Favorites! Technorati is collecting Favorites information as usual, however not currently displaying them in the site. Your submission was just saved. I like that they're easy and kids think they're fun to take! I love that they are a quick, easy fix for the kids when they're hungry for a snack between meals, or for their lunch. I like that they have so many varieties.